What happens when a cat-centered web meme becomes an off-Broadway musical? 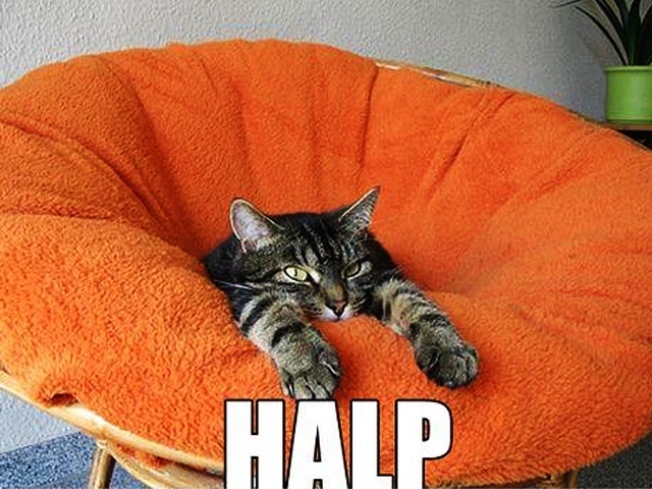 An early "I Can Has Cheezburger" cat, creating the meme without even knowing it. I’M IN UR WALLIT, TEKING $15. In other words, we’re still fuzzy on the plot points of this off-Broadway foray, playing at the Cherry Lane Theater tonight and Friday. We do know it’s brought to you by the creators of the hee-ugely popular ICanHasCheezburger.com website (in which cat pictures + misspelled capshuns = hilarity) and they haven’t disappointed us yet. Also, we’re loving a few standout showtunes, including "Someone to Eat Cheese With," "Ur Doin’ It Wrong" and "Tasty Taste of Love." If that weren’t enough, tickets are a paltry $15 – and trust us: it’s a) way cheaper, and b) a lot more fun than the last musical you saw about cats.